I was unable to read the third volume due to an error in the document/download making the pages blank. I therefore came to the fourth volume needing to get back into the story and trying to catch up on what I had missed. I found it hard at first as clearly some events had taken place in the third volume that had led to the situation at the start of the fourth. There were a couple of new characters involved and I had to work out who was who and what was going on. At the half way point, I felt I was just about back on track with what was happening, but by this point I also felt I was anticipating what was happening too much. It was far to easy to work out who the mystery 'bad guy' was and so there was no tension. I would have liked them to have kept more hidden so that the reveal was more of a surprise. 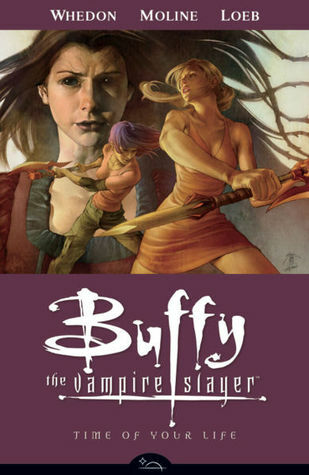 In addition certain parts of this volume, such as Buffy's dream, felt a bit like filler and I couldn't see the point of them except for fluffing the story out a bit while nothing else was happening. I'm still finding the storyline interesting overall though and I am looking forward to continuing on to volume five to see what will happen next.